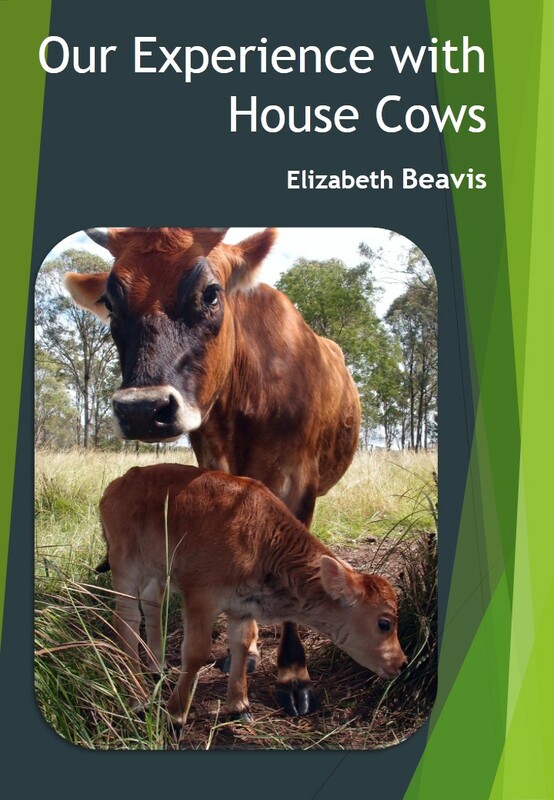 The book Cows Save the Planet: And Other Improbable Ways of Restoring Soil to Heal the Earth , by Judith D. Schwartz, covers a whole range of topics including soil carbon, water, minerals, and of course, cows, and their impact of climate and human health. When I read about this book, I knew I wanted to read and review it, and Judith was very kind to arrange for me to get a copy from New South Books. The most confronting chapter for me was the forth, "The return of lost water", in which Judith describes the latest theories of how human activites, particularly clearing forests and draining the land, have disrupted both rainfall paterns and surface water supplies (creeks, streams, rivers, dams etc). The New Water Paradigm Group warn that lack of water could be more dangerous than temperature increases due to climate change, apparently we only have a few years supply if the rain stopped completely. Maybe because we are in the middle of a drought, but that chapter filled me with slow creeping dread. Especially because it is very similar to the theories of Peter Andrews, but backed by some pretty credible research. Later in chapter eight Judith writes about seeing first-hand a couple of ranches that were using Allan Savory's Planned Holistic Grazing and seeing not only improved pasture, but also more surface water. 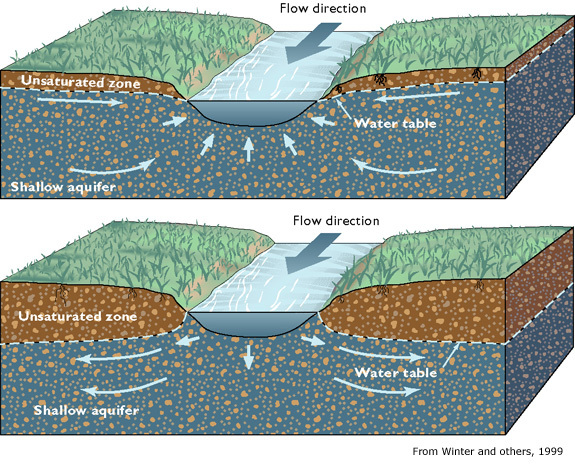 At first I couldn't see the connection between soil and surface water until I saw a few other diagrams when I was looking into our plans for bores. This is what I put together: surface water is connected with ground water, if the water table is high, then surface water will be "gaining", but if the water table is lower than the surface water, it will be "loosing". Removing trees and draining the land lowers the water table, so more surface water will be loosing water to the ground water. If we can maintain trees and build soil carbon to hold more water in the soil, we raise the water table and improve soil water, and then we will see surface water improve. 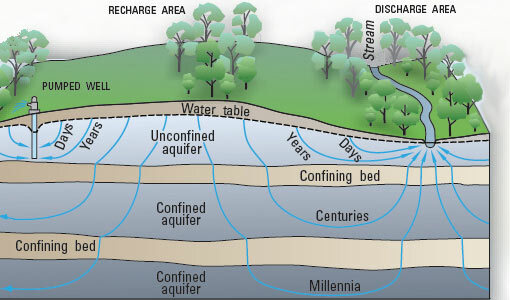 That's why creeks that used to run don't run anymore, but we can restore them when we understand the water cycle better. You know I'm obsessed by water at the moment, but the other chapters are equally fascinating. And how can cows save the world?? If we manage them correctly, we can use them to build soil carbon, which is good for stabilising the climate and the water table. We can also improve soil nutrients, which is good for our health, and biodiversity, which is good for the planet in general. One strong message of the book is that it is not enough to focus on reducing emissions, we need to start putting that carbon back into the soil, and we need plants (and cows) to help us to do that. Did this catch your interest? Do you think cows can save the planet?